Mr Jim Gray is a consultant orthopaedic surgeon and clinical director at an NHS Foundation Trust in the UK. He is highly motivated towards driving change and delivering high-quality experience in healthcare. As part of a new orthopaedic clinic re-design, he is developing new software that will help overcome to main problems present in a typical secondary care outpatient setting. 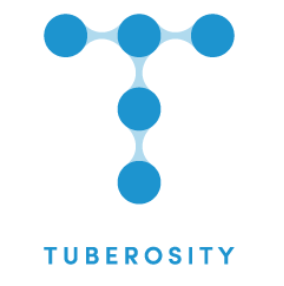 Tuberosity is my startup company founded to disrupt the health software landscape, to create dependable and agile software for healthcare. A tuberosity is a bony prominence for ligament connections and is utilised as a surgical landmark, paying reference to my role as an orthopaedic surgeon. As a corporate brand it encompasses the terms prominence, connection and landmark. We’re building a mobile enterprise app called DASHclinic (@DASHclinic) that facilitates healthcare clinic queue management. What made you interested in developing your clinic software product? As Clinical Director of an Orthopaedic Department I was asked to oversee the design of a new clinic facility and took opportunity to see it as a blank canvas to do something new and different. It became obvious that there were plans designed without the staff in mind, so I wanted to recalibrate that. There was an opportunity to solve a common problem that I had experienced over many years. I had seen poor queue management in clinics and had an idea that I described then illustrated with a paper prototype mock-up. This was well received which fed my appetite for making change, and once I realised that this wasn’t going to be as simple as commissioning internally, I started the brand. Running a clinic looks like a simple process at first, but it is only when it is mapped that the complexity is evident and that a queue management system is needed. The problem is that IT in healthcare has become very commonplace, but unfortunately the immobility of PCs and non intuitive software interfaces (the screenshots) creates new problems. Healthcare staff are spending more time on PCs (or hunting for available PCs) and then struggle to navigate the software. Dictation machines once mobile have become bolted to USB ports. This slows us down, making us inefficient and takes away the time we could otherwise give to patients. We find that we spend less time with patients with additional technology. Furthermore, the software requires training and often staff are ad hoc locums without the time available to be trained, which further compounds the inefficiency. Running a clinic looks like a simple process at first, but it is only when it is mapped that the complexity is evident and that a queue management system is needed. On the back of this came better requesting, and on the back of that came better coding. It’s unique. Currently, we see that clinical coding encompasses drop down menus because the designers don’t understand it, as it is inherently complex. Coding adds value for organisations and should be a vital part of the pathway, but there is no foolproof way of capturing it. I’ve examined and simplified the language of coding and designed a method to simplify data capture. DASHclinic is a queue management software for healthcare clinics running initially on native iOS. It saves time for clinical staff and patients, and increases transparency for all the users. I’m only interested in facilitating everyone, there’s little point in improving a staff experience whilst penalising patients, and vice versa. Although our hospital is now using electronic health records, we still use plastic folders to perform the job of a virtual queue, just as medical files used to. Once you realise that you are doing things just because that’s what you have always done and you are not making an incremental change for the better, that is when it is time to make a radical change. 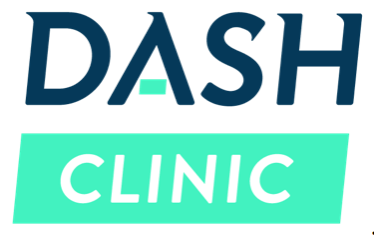 DASHclinic manages the queues, allows requesting, gathers a huge amount of data and raises revenue. What are the main challenges you came across in getting the product to where it is now? The first hurdle was convincing non clinicians about the need for such a product, so we held a role play workshop in the hospital which made everyone realise that the traditional method of running a clinic was poor. The biggest barrier was that although the Trust board and IT department loved it, interfacing into Trust systems is a minefield. The integration piece is costly despite evident return on investment, so bureaucracy began, leading us round in circles. The surprise has been how slow progress can seem. Whilst I feel progress could happen overnight, the overall pace of setting a schedule for meetings across sectors is glacial. Weeks pass waiting for email correspondence and I find being patient is difficult to entertain when my enthusiasm to gain ground is overwhelming. Currently we see that clinical coding encompasses drop down menus because the designers don’t understand it, as it is inherently complex. [..] I’ve examined and simplified the language of coding and designed a method to simplify data capture. What other hospital improvements ideas have you got? I’d like to see some fluidity around information gathering that imparts efficiency in a hospital process. Patients often repeat information to staff members, doctors use one proforma, nursing staff use another. Theatre preassessment could be radicalised and become mostly remote. Osteoporosis management could be automated, medical ward rounds and patient handover need streamlining and I’ve discussed this with the Department of Health because the proposition of 7 day working relies on efficiency. Even just the process of getting a patient from an admissions ward down to theatre requires conversations between several different members of staff whereas it would be much more time efficient for the process to be electronically managed. My aim is for there to be a win-win for both the clinician and the patient. Do you have experience with running startups? No, though I’ve always yearned to find a unique alternative to the norm. Do you find it hard to manage both the clinical work and your startup? No, not at all. The balance I have between my clinical, personal and my business life is complementary. I see the business as a hobby not a chore so I’ve got a healthy balance. I look forward to weekdays as Mondays bring emails about our startup. I’m hugely enthusiastic about my role as consultant and clinical director of the department, but I’m bringing something to that role, even if it’s a proof of concept, as well as using knowledge from that role in running the company. Do you think there should be more medical entrepreneurship from doctors? Yes, I think that is where change will happen. Doctors spend countless years learning medicine and we miss opportunities to engage in management and to understand logistics and processes. I found only latterly that this really excites me. Any idea is an idea, learn from mistakes. Surgeons learn from mistakes which refines technique. Encourage yourself to consider fresh ideas, some will be fruitless, try again and see if the passion bears fruit. Be relentless. I think there’s huge opportunity for junior doctors in training to get more involved in management and leadership. Medical school produces characterful doctors who have minimal experience in really managing anything apart from their own workload, not used to working as teams and not used to anything related to business. That continues up to the point where you never truly get involved in management until you become a consultant. Ideas for healthcare innovation can come from anywhere and I think we’re beginning to see opportunities all around us that we must harness. For me, the time is right for mobile Health solutions. It’s time for healthcare to catch up with other industries and take the monumental leap into the digital world. What would be your best advice to a junior doctor interested in becoming more entrepreneurial? Anyone at any level should realise that an idea could be the solution to a problem and to not assume that a hospital is running optimally. I’ve realised that systems are far from perfect and anyone can make a valid contribution. I’ll take advice from anyone at any level and I’ll certainly take advice from junior doctors who know their job better than I do. The millennial generation are especially key as they are socially programmed to be open to new technologies.